From a layman’s point of view, golfing might seem like a not so interesting sport. After all, all you have to do is hit a ball and follow it around a course. How hard can that be? The reality is: it is not as simple as it seems. It needs strength, accuracy, speed, flexibility etc. These are some of the functionalities people lose as they age. Therefore it is harder for seniors to golf using the normal PGA tour irons. 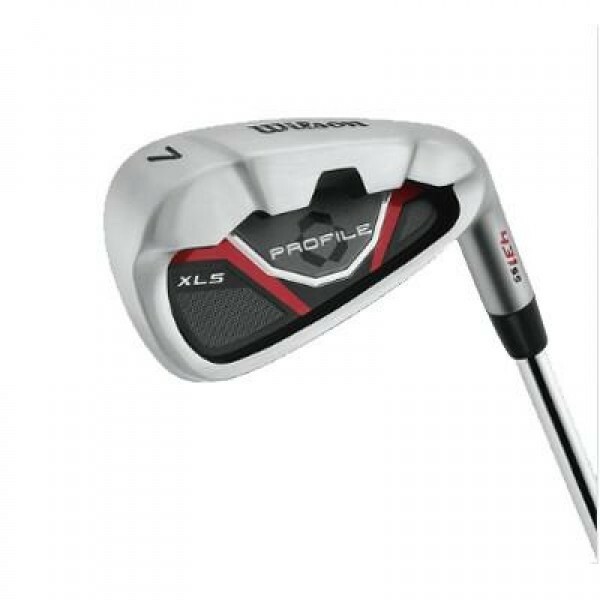 Lucky for you, we have compiled this best golf irons for seniors review where weäll go through the best of the best irons for your retirement. Keep on reading to find out more. To see our ultimate buying guide to irons, click here. Aging is not reason enough to let go of your favorite sport. Golf club manufacturers have you sorted. 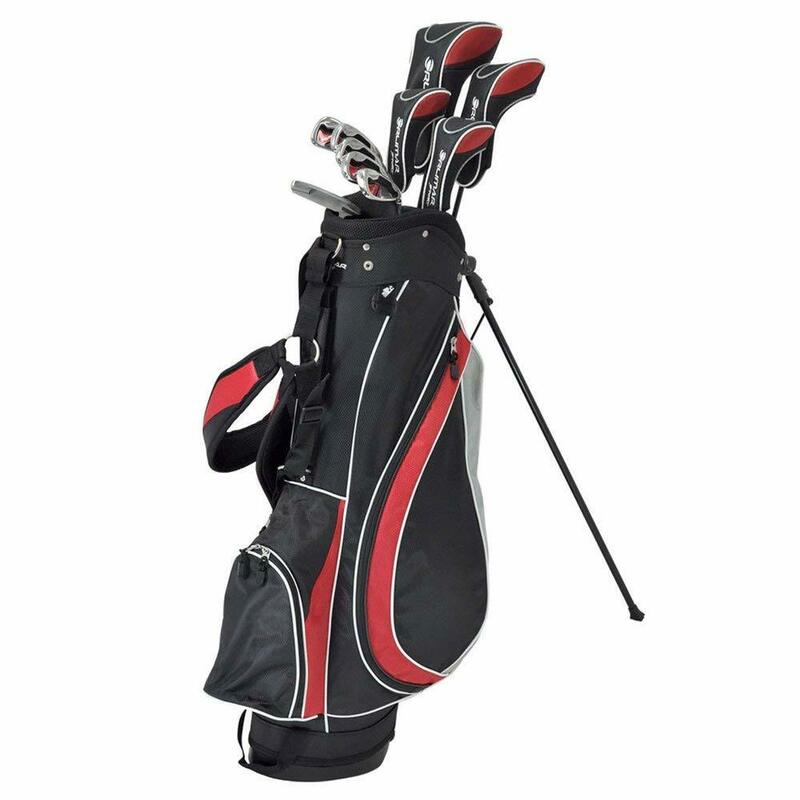 There are specially designed golf clubs for seniors that make up where you cannot. They give you extra distance for lower speed, are extra flexible to cater for the loss in flexibility, and are fitted with longer shafts (an inch or two). They are also streamlined to reduce drag and increase swing speed, have massive sweet spots to increase forgiveness, and are lighter. So, if you are looking for the best irons for seniors, then you have come to the right place. We have outlined the best irons, their features, their pros and cons, and why we recommend them. Basically, it’s a feast for you. Wilson have made it their agenda to ensure that seniors and newbies have as much fun as the pros. With their XLS they have all the basics handled and have taken into account the shortcomings of seniors. For a driver, they have the 460cc titanium composite driver which gives amazing distance for low swing speeds. This combined with the fact that it has a massive sweet spot make it ideal for the elderly. Their fairway wood is perfect both on the rough and the fairway. This is attributed to their low placed weighting which lowers the Center of Gravity (CG) and increases the launch angle. With this set, you get all the irons except the 3-iron. 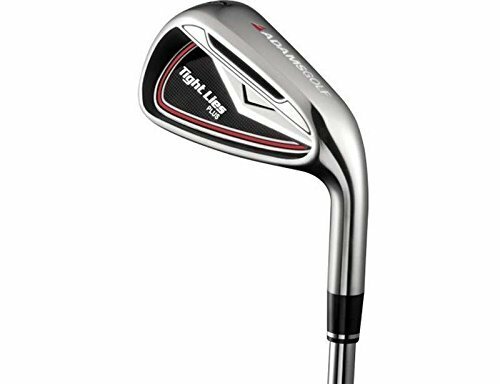 However, the hybrid which features a high launch for better trajectory than other long irons makes up for this. Why purchase the XLS? Well, Wilson have made this the perfect set for seniors by incorporating large diameter grips, high lofted distance gapping, senior flex graphite shafts, and making the irons lightweight. The HP25 set features a 460cc driver with a 10.5 degree loft, a 60 degree lie, and a 44.5” shaft. The driver has a high MOI (moment of inertia) which is a result of additional weight on the heel and toe of the sole. To increase forgiveness on off-center hits, the driver is fitted with an ultra-thin face which also has leads to quick launches and just to spice it up, the putter features a heel-toe weighted blade with alignment aids to increase accuracy. One customer review on Amazon even said he took up golfing again thanks to these clubs - after being away from the sport for over 20 years. Yes, they are that good. With the tight lies, golfing has never been better. It is a perfect game improver and great for senior players. It has all the features to ensure they enjoy the game. From a massive sweet spot, a large bottom, and also quite light. Their many features ensure you enjoy the game from the tee to the 18th green. The set consists of an Adams Idea 5 hybrid, Adams tight lies 6+ PW irons, and Adams Tom Watson SW. The driver features the latest aerodynamic tech for fast club head speeds increasing distance. This technology also ensures that seniors get amazing distances even with their slow swing speeds. For irons, the tight lies feature a cavity back design which stretches out the weight to the perimeter increasing the sweet spot i.e. forgiveness. 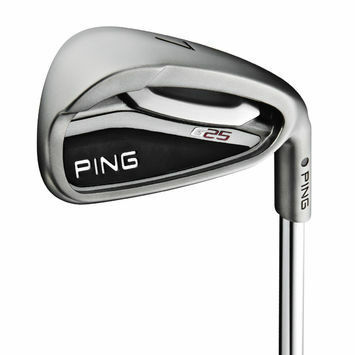 With the G25, Ping have truly outdone themselves. This is a set meant for players of all handicap levels and they have ensured the irons have the physical appeal too (quite sleek). It features a darker finish making it superb behind the ball. The G25 are high launching and have a whole new level of forgiveness. This is courtesy to the re-engineered custom tuning port which is integrated into the sole to lower mass and the Center of Gravity. They also have more control on spin when you hit the grass and incorporate built-in support bars that align with the impact area to ensure a solid feel and distance control. The Orlimar sport fireline GI is one of the best clubs for seniors currently available on the market. It features a driver, 3 wood, 4 hybrid, 5 hybrid, 6 PW, a putter, and a stand bag making it easy to carry your clubs around the course. The driver is forged from aluminum which generates flexibility for minimum effort. The aluminum also allows for more weight in the head resulting in more distance for less power. The shafts are an inch longer making them ideal for seniors who cannot bend. The free stand bag has padded straps to make sure that they (i.e. seniors) do not strain their backs as they carry the irons around the course. The set can come with various shafts. Graphite shafts for extra flexibility, steel shafts for players who like a bit of rigidity, or the hybrid shafts. We recommend the graphite shafts for seniors. Taylormade have made it their mission to manufacture exceptionally good golf clubs and the M2 is one of their best production. All they did was tweak the set a bit to fit them for seniors. 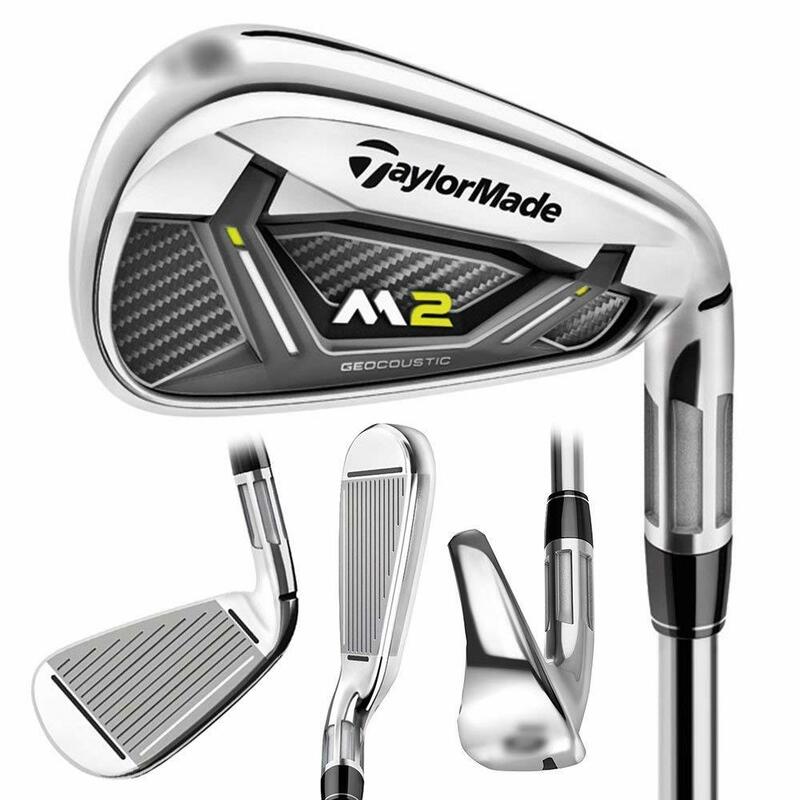 Instead of long irons, the set features hybrids and M2 irons for mid and short irons. Cutting edge technology make this set suitable for seniors. For starters, the speed pocket technology has a thin sole which results in more flexibility. This translates into increased launch angle and also preserved ball speed. With their thick thin fluted hosel, they remove 3 grams trapped in the hosel and redistribute it as low as possible lowering the CG. The thin face technology with inverted cone technology, combined with the speed pocket ensure that you are always pushing the distance limits. Seniors have a difficult time golfing with PGA tour irons which require more effort from the golfer. They are often short in high-level accuracy, swing speed, flexibility, and they need more strength. However, revolutionary tech (hybrid irons, cavity, and graphite shafts) has made it possible for senior golfers to enjoy the game. They make up where they cannot. However, there is no size fits all. Having recommended the above, it is sound to visit your nearest retailer and test the irons for yourself. If they do not suit you, you can tailor made yours. May the fore be with you!